The tiller sits in my garden after a first-pass tiling this afternoon. You can also see parts of my orchard, and the black spot where I burned the brush pile last month. Update: I found the front yard high with henbit, the weed that grows and blooms early, then turns brown by the middle of spring. It was too tall, in fact, for the Chihuahuas to navigate, so I mowed it. 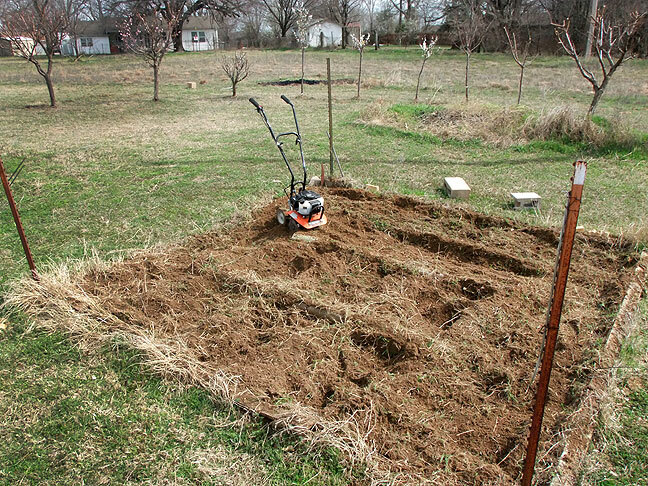 Doing so showed me that it was probably dry enough to till, so I fired up the tiller and did my first-pass tilling. Since I didn’t garden last year and it was full of weeds, I expect to till it again in a few days, just before planting. 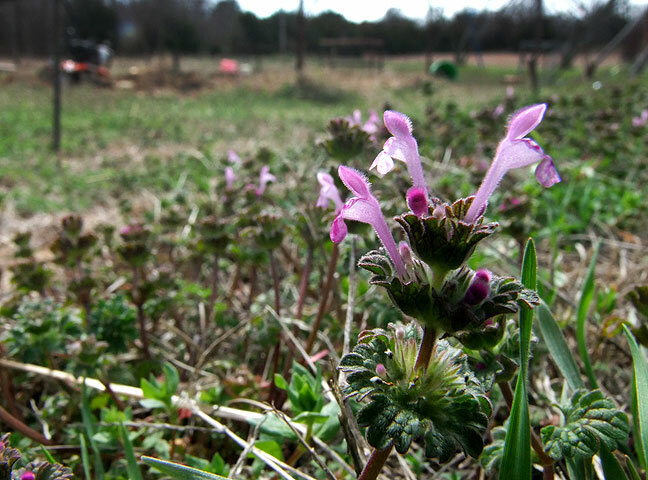 This tiny weed is called henbit, and its appearance marks the start of spring in our section of Oklahoma.